Ford is officially building a new plant in Michigan aimed at its line-up of next-generation hybrid cars that could one day drive themselves. The news comes after Alphabet-owned Waymo got approval to open an autonomous vehicle factory in the state in January — another sign that carmakers are refusing to let gloomy public perception stop the march to self-driving vehicles. The news also comes after General Motors laid off 15 percent of its salaried workers and closed five entire auto plants — including one in Michigan — in the U.S. and Canada in November. 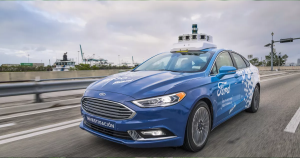 Ford is planning to start working on its first-ever autonomous vehicle in 2021. The plant is also part of Ford’s massive $11.1 billion investment in global electric vehicles.